After a car accident in Salt Lake City, the attorney you hire is going to make a significant difference in the outcome of your injury claim for compensation. That’s why finding the best lawyer for your unique circumstances is so important. but finding the right Salt Lake City car accident lawyer is going to take a little work. We have outlined the necessary steps below. You can take several steps to find the best attorney for your car accident case. Each step should help you narrow down your list of potential lawyers until you’re left with one who can win you the compensation you deserve. The best place to start is with an online search. Make sure you type in your specific city to find a lawyer who is located nearby. Attorneys are familiar with the courts in their jurisdictions, so hiring a local lawyer can be better than hiring someone from out of town. Read what former clients have had to say about your prospective Salt Lake City car crash attorney. Find reviews on Yelp or Google to determine whether the lawyer’s clients are satisfied and whether they would hire him or her again. Attorneys can collect a retainer or can take cases on contingency. Contingency means that, instead of collecting payment from you up front, the attorney only gets paid if you make money on the case. If you are tight on cash, hiring an attorney who operates this way can be helpful. Find out how successful the attorney has been in the past. Successful attorneys will be happy to share information on the amount of compensation they’ve collected for clients and how past cases have been resolved. The best way to see if an attorney is right for you is to schedule a consultation. This allows you to ask questions, make sure the lawyer is a good fit for you, and become comfortable with who might be representing you. We are a team of experienced car accident lawyers. We have had a great deal of success getting our clients compensation through settlement negotiations and trials. We’re happy to share our success stories with you as you search for the right lawyer. 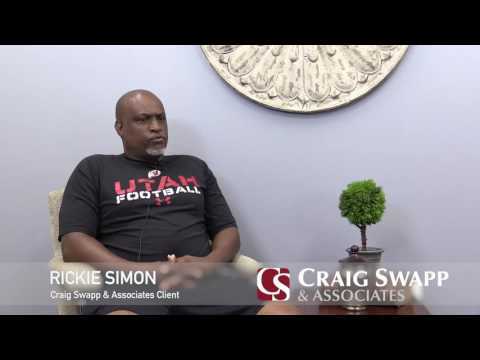 Contact Craig Swapp & Associates to schedule a consultation with a Salt Lake City car accident lawyer. You can do so by calling 1-800-404-9000 or filling out the form below.